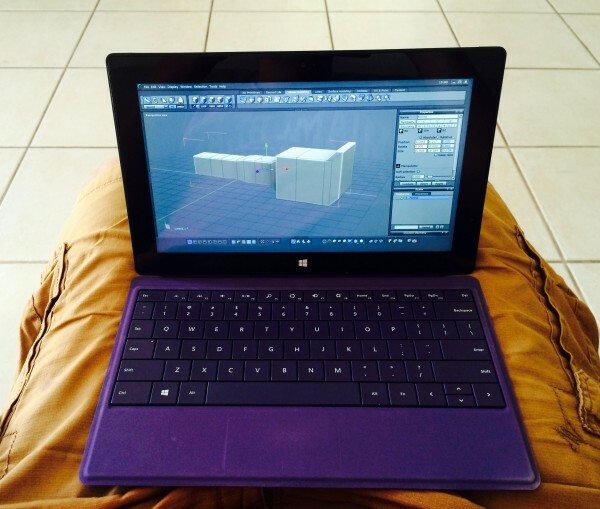 Since I bought the Microsoft Touch Keyboard for my 1st Generation Surface Pro, 3D usage has become even better than before (I went for the purple one). Many functions have keyboard shortcuts that make life quicker and easier when it comes to navigating a scene in 3D Space. Before I forget how this works, I thought I’d take some notes. Hold down ALT while dragging the stylus onscreen to dolly the camera around the selected object. Hold down ALT + CTRL, then drag the stylus up and down to zoom in and out (just in case you don’t like touching the screen while you’re holding a pen). Hold down ALT while dragging the stylus onscreen to dolly the camera around the selected object (same as in Hexagon and Carrara). For best results with Surface Pro and Wacom Tablets, make sure to enable Tablet Mode under Mouse Input in Preferences.